For the purchase price of $250,000, this well-established , successful pawn shop operation is definitely worth considering. 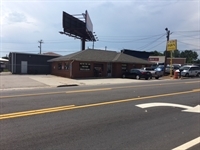 Located in the lovely city of Gainesville, Georgia, where there are ample activities for a busy social life, this 16 year business is one in which a new owner could certainly earn a wonderful living. Reluctantly selling, the present owner holds a fully transferable $2,400 a month lease with 8 years remaining as well as a 10 year renewal option. If a new owner is interested, the present owner would definitely consider selling the 2,800 square foot building and existing lot. important to note that the asking price includes all inventory, active pawns, equipment, fixtures and a significant database which encompasses a solid, loyal nucleus of customers. Because the present owner has worked hard at establishing a respectful rapport in the diverse city of Gainesville, many of the customers are repeat; the treatment received here is noticeably different from that of a "big box " store. Since its inception in 2002, the present owner has been owner/operator and feels that any serious, prospective buyer would fare quite well financially, as the gross revenue is $225,000. Because of some health issues, the present owner must sell, but he and his 3 employees would be available to assist in the transition; this includes training and/or any other needed support. With a negotiable price index, the present owner requests that only serious buyers inquire. As far as the future outlook for this business is concerned, the owner strongly feels that there are ample opportunities for growth and expansion. First and foremost, the location is extremely desirable with the largest competitors being Cash American and ipawn. Lastly, and probably most importantly for growth, the nearly 3,000 square foot building exists within a large fenced lot which is prime for larger item storage( e.g.--vehicles). Built from the ground up , this successful business "made it " against a variety of odds and, according to the owner who positioned it well for continued success, " The sky is the limit!" Owner financing is available. Please contact the seller for more information.